Just before I took them to the airport, I finally remembered to take a picture of us – the only one I have. All the time we were together I was too busy laughing, talking and playing host to think of my camera. Their visit truly brightened up my days; I’m sure I’ll carry it with me as a highlight of my year. Though I have no picture evidence of our delicious food – and oh my gosh, the best rum punch ever in life! And I’ve never even liked rum punch! – I do want to tell you about this dessert I’ve been enjoying for the past couple years. 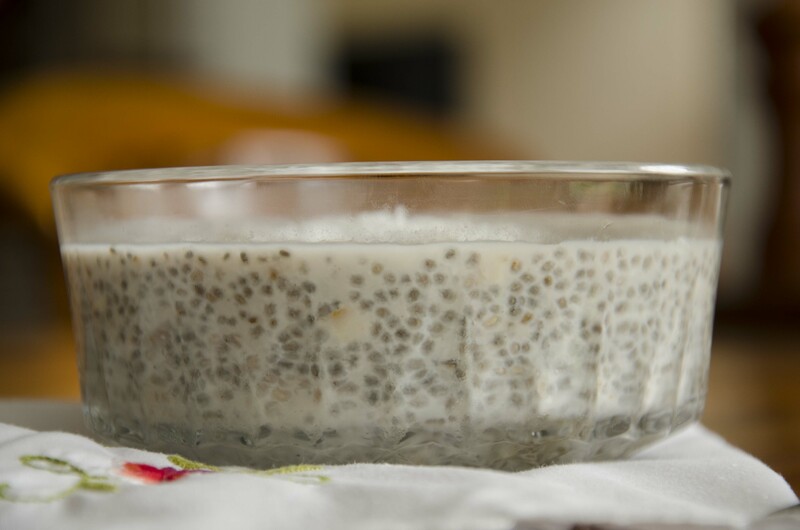 If you read food blogs, or otherwise pay attention to super foods and how to eat them, then I’m sure you’ve heard of chia pudding. I am breaking no new ground here. If you haven’t tried it though, consider this one more vote of confidence in this potentially odd-sounding dish. It’s light, totally customisable, and doesn’t ask much of you other than patience. 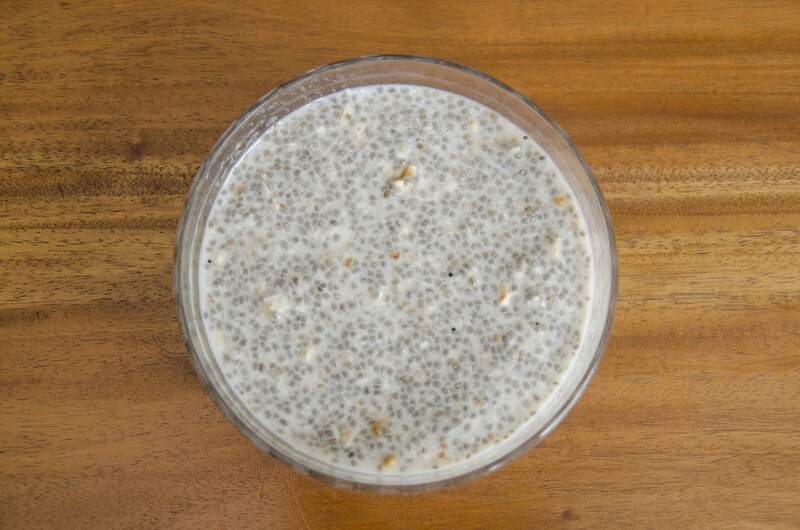 The only two things you have to have are chia seeds and milk. You could stop right there, maybe add a sweetener, and enjoy it in that comfy chair in the living room. I add nuts, dates, shredded coconut and cardamom. Always cardamom, because it’s my favourite spice and I put it in as many things as possible. 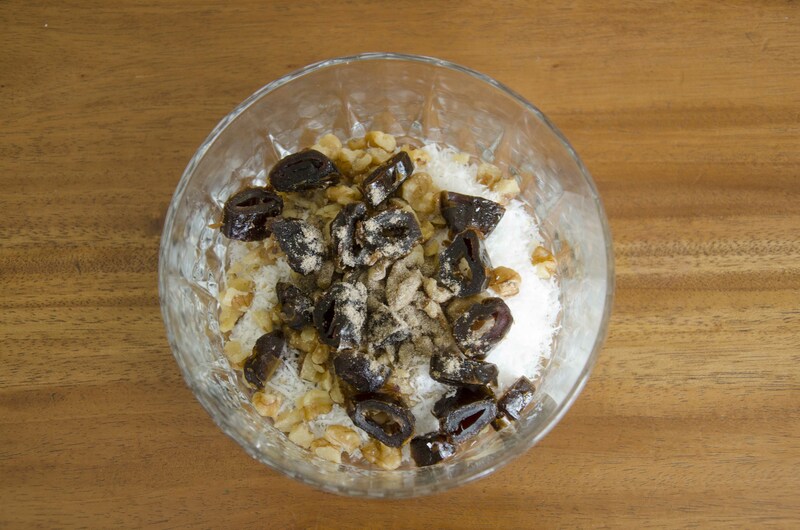 I prefer unsweetened coconut, though sweetened works too – it’s your pudding, make it as sweet as you’d like! Stir it all up and let everything chill out in your fridge for a while. At least an hour, up to a few days. Typically I make mine around the time I’m prepping dinner, and then a couple hours after dinner I’ll enjoy my pudding. This isn’t so much a recipe as a guideline. If you’d like your pudding on the thin side, take it out the fridge sooner than later, since the longer it sits the thicker it becomes. The instructions here are for one (largish) serving, so scale up if you want to make some for future desserts or breakfasts. I do that too and it works out just fine. 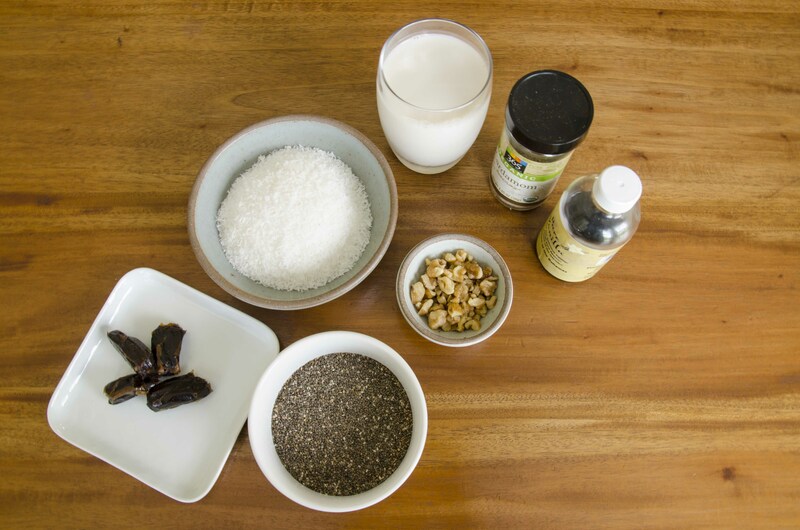 In terms of ingredients and combinations, your pantry is the limit! I have deglet noor dates on hand right now, and they work just as well as medjool for sweetness. Pistachios and walnuts provide my crunch of choice, but I’ve made completely smooth puddings with no nuts as well. You can add berries, mango, granola, cocoa powder or chocolate chips – really, once you get going you’ll see what I mean. 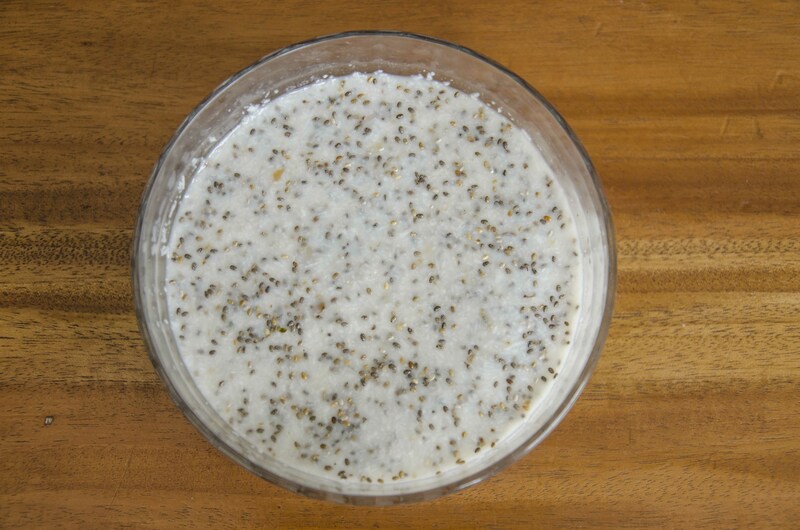 I love the texture of the gelatinous chia seeds, and the soothing, luxurious feeling I get from the aromatics of the cardamom. Put yours in a fancy glass or china bowl, eat it with a pretty spoon, and you’ll feel just fine, just fine indeed. 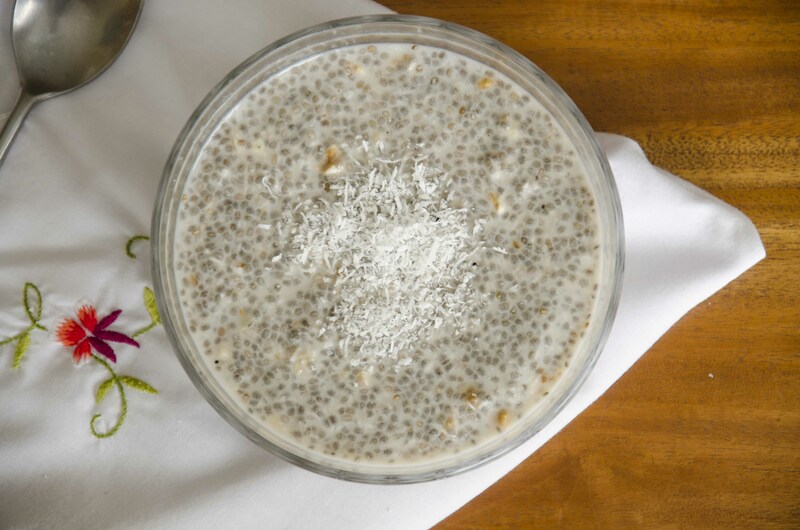 Put chia seeds, coconut, walnuts and dates into a bowl. Add 3 or 4 shakes of cardamom. Pour in the milk and vanilla. Stir, cover and refrigerate at least 1 hour, and up to 3 days. Serve chilled. Sweet! I'm so excited to have you! Hey! I’m Gabrielle and this blog is where I tell stories about food, people and how food serves people. What's happenin in these Bahamian streets!